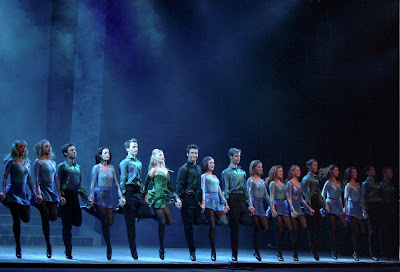 Riverdance has been going for over 15 years and in that time has been seen live by over 22 million people. There’s a reason why it is so popular, because it’s brilliant. When that haunting celtic music started playing I got gooseflesh. Early on their is a big dance number with the whole cast dancing in unison on the stage, the timing is unbelievable and it creates a sound which drums into your chest. I don’t know why Riverdance took so long to come to South Africa. Lord of the Dance has been here several times already. I have seen Riverdance on DVD so knew that it was a great show and was very excited to see it was coming. I was disappointed to see that it was at the Grand Arena rather than at the Artscape. I prefer the artscape as it is a proper playhouse and has that feeling and ambiance about it. It seems to create more of an occasion, making you want to dress up a little and arrive on time. Basically I think it demands more respect than the Grand Arena which is a very casual environment. I found that this was quite evident during the show because we were continually disturbed by people arriving late and people talking during the performance. We even had one person answer their cellphone during the show! Other phones rang during the performance as well. For me that detracts from the show, and can spoil the whole experience. It’s also disrespectful to the artists, at the end they thought they were getting a standing ovation but it was just people leaving because they couldn’t be bothered to stay for the bows (I did give a standing ovation). Having said that, there is one thing I really liked about Grand West and that was the big screens on either side of the stage. Unless you’re in the first few rows of any venue, it’s difficult to see the dancers feet properly and to see the detail of the costumes etc. This is why you see in the movies when the larneys go to the opera or theatre they have those little binoculars. So these big screens showed closeups of the dancers the whole time and focused on their feet when they were doing intricate tapping. It was really cool to be able to see how they are tapping because it’s so fast you sometimes think they are playing extra taps through the sound system! These dancers are amazingly talented (and hot! I need to find out where they have drinks after the show…), they look like they are floating on air half the time. You don’t need to be a huge fan of tap or Irish dancing to appreciate the show. It’s so well put together, it will entertain anyone. There is a flamenco dancer and she is really quite something. 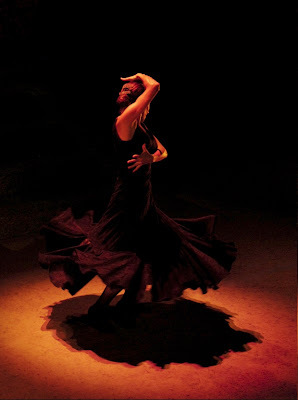 I’ve seen a fair amount of flamenco in my life (being half Spanish) but she was really one of the best I’ve seen and her dresses were beautiful (you’ll catch a glimpse of her in the video below). The music is really good too, I can see why they have sold over 3 million copies of the soundtrack. It was great to see the show was very well supported and I imagine most of the shows will be like that as they have already added an extra show. 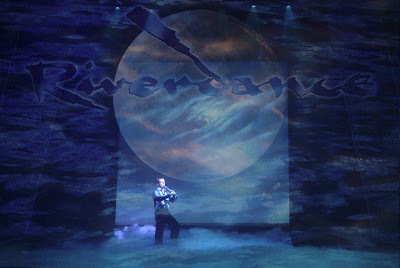 Riverdance runs until the 27th of Feb 2011. Tickets range from R200 to R400 and there are bulk discounts available. Book on Computicket. Don’t miss this show! I totally agree with you. We were there too last night and the people arriving late were seriously annoying. The guy who played the “Dudelsack” was amazing, but unfortunately I only paid attention to half of his performance, because three people in front of us arrived late…I saw people in shorts as if they go to the beach. Very sad. I saw Lord of the Dance in Berlin and it was classy and an awesome venue, people were dressed up and doors were shut after the show started. I went to Riverdance on Saturday and was blown away by the show – instantly wanted to dust off my tap shoes and dance – but would never be in their league. As for the audience’s lack of respect, I totally agree with you and Saskia. The people seated behind us purchased refreshments during the show! Why is it that people feel it is okay to munch popcorn and glug oversized drinks during a performance? However, despite these distractions I loved every minute of the show and have in fact changed my trip to the UK in June to include a couple of days in Ireland.